Unique System FZE, a Unique Maritime Group company, which is one of the world’s leading integrated turnkey subsea and offshore solution providers, conducted a raffle on its stand number U2 at Seatrade Middle East Maritime 2012 exhibition. This was an open to all raffle where clients and visitors on the stand were given a chance to win a framed 24K gold boat by simply dropping their business card in a raffle box. The draw was held on the 29th of November 2012 at 11 AM on the stand itself and Mr. Shahram Nazemi from Global Marine emerged as the lucky winner of the gold boat frame. 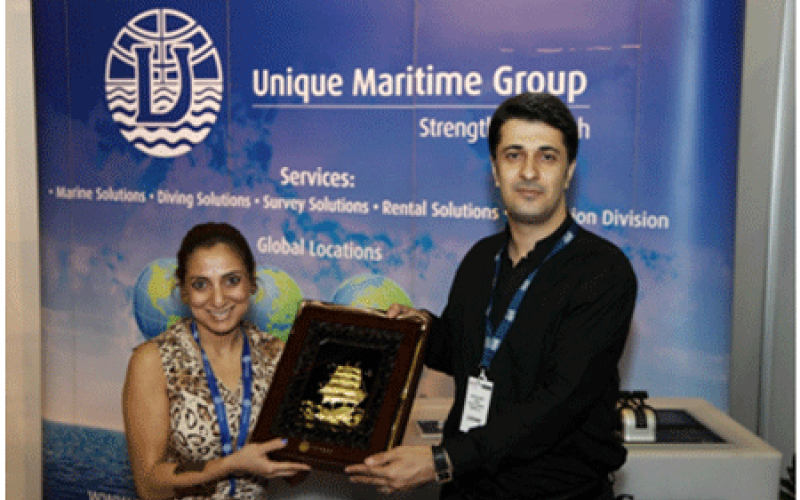 Geetika Gupta, Marketing Manager at Unique Maritime Group, handed away the prize to the winner.